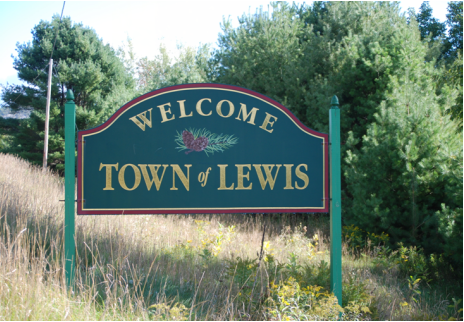 The Town of Lewis, incorporated in 1805, was named for the third Governor of New York, Morgan Lewis. 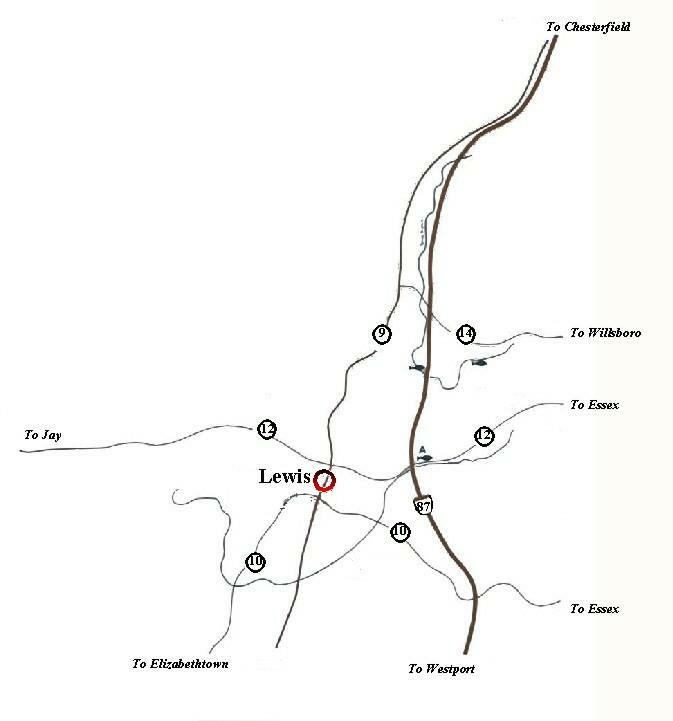 Located in northern central Essex County, Lewis is a small community known more for its peaceful ambiance than for its industry or tourism. It is located in the Adirondack Mountains, providing many recreational opportunities such as hiking, fishing, hunting, trapping, camping, and cross-country skiing. Summer in Lewis can be spent swimming, both locally and in nearby Lake Champlain, kayaking, canoeing, and berry picking. In the fall, our spectacular Fall Foliage is second to none. Winter in Lewis brings snowmobiling, ice skating, and ice fishing on Lake Champlain. Community spirit and neighborliness are the major attributes of Lewis. There are many organizations to join; The Lewis Volunteer Fire Department, The Elizabethtown-Lewis Ambulance Squad, 4-H, Scouts, Senior Circle, Fish & Game Club. There is a Christmas Tree Lighting ceremony and Caroling in December. Santa Claus comes to visit children in Lewis every year at the Fire House. Essex County Soil and Water Conservation District is now taking orders for Trees and Shrubs. See latest news for forms and information. There will be a brief (2-3 minutes) power outage in Lewis at 5:30 PM Monday, March 25, 2019 and again on Wednesday at 5:30 PM March 27, 2019. Free Lead Testing Kit.... see Latest News!! RSVP needs drivers. See Latest News. Like gardening? Cornell Cooperative Extension is looking for Master Gardener Volunteers. See Community link for application. Protect yourself during tax season.